I came across this Instagram photo recently of a Liesl + Co. Bento Tee and I thought it would be nice to show you some great projects that people have been making using the pattern. Seeing what others have made can really help get those creative juices flowing. This round-up will give you a chance to see how it fits and what your sewing friends have done with the pattern. We always love to see photos of the Liesl + Co. Bento Tees you make. 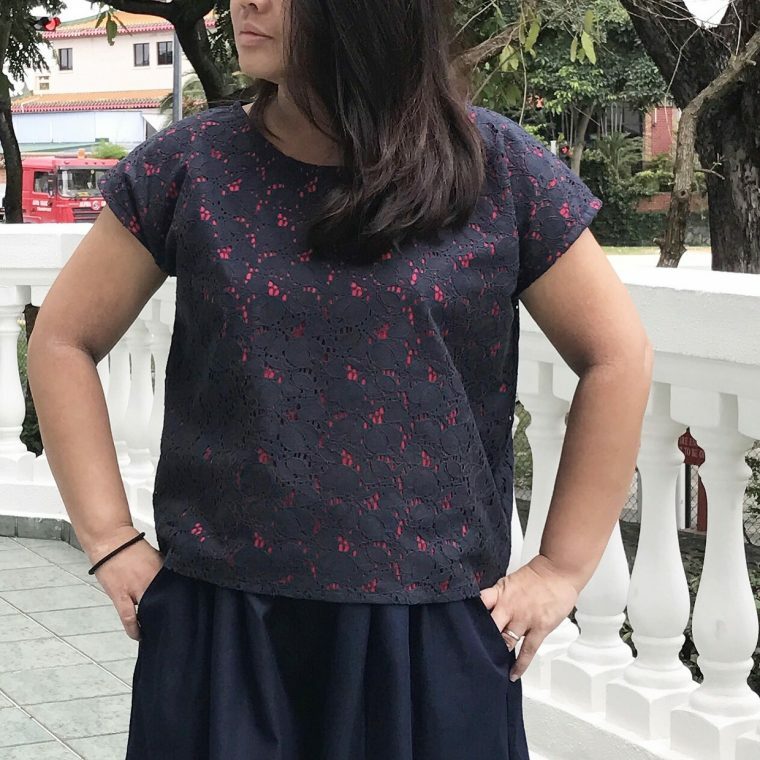 Don’t forget to tag your Instagram photos with #lieslandco and #bentotee, so you can share your creations with other appreciative seamstresses. Up first is Jessica who shows us that the Bento Tee is an ideal base for creating many different sweatshirts or t-shirts. 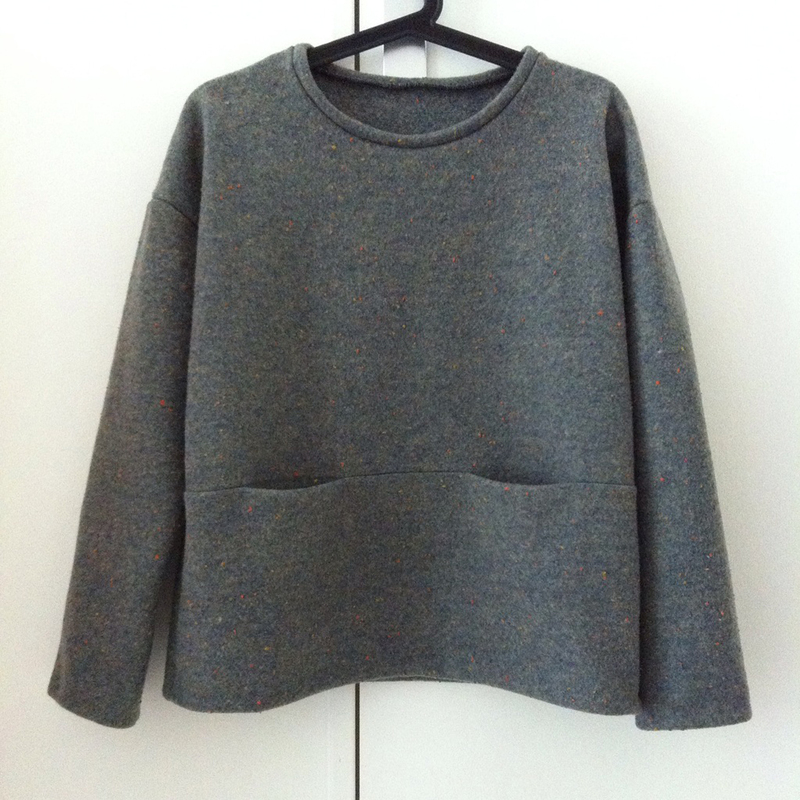 Here it became a fluffy sweatshirt for winter. She used a fleece, made it extra wide and added a turtleneck. It looks very comfortable! Next up, Sophie is here to share a few of her Bento Tees. Well, well, well, how could I tell you about my Bento Tees’ adventure?! First of all, I found the pattern on Instagram. As soon as I saw it, I knew how I was gonna make it! I wanted a winter version, sober and warm (yeah, I’m a little sensitive to cold!) I knew where to find the right fabric (I have a good address). Two clicks later, I was on The Sweet Mercerie’s website, ordering a treasure!!! 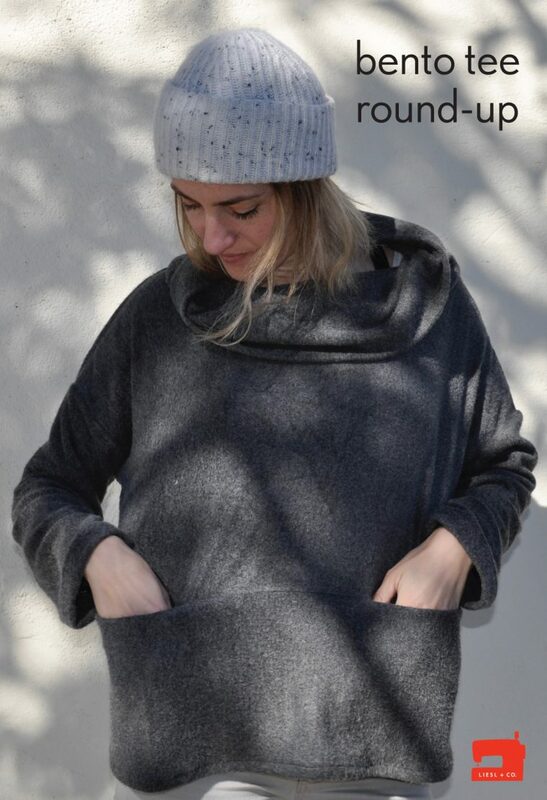 A warm woolen fabric, not too stretchy so it has a good hold and fit. Regarding the making, I didn’t have any problems. 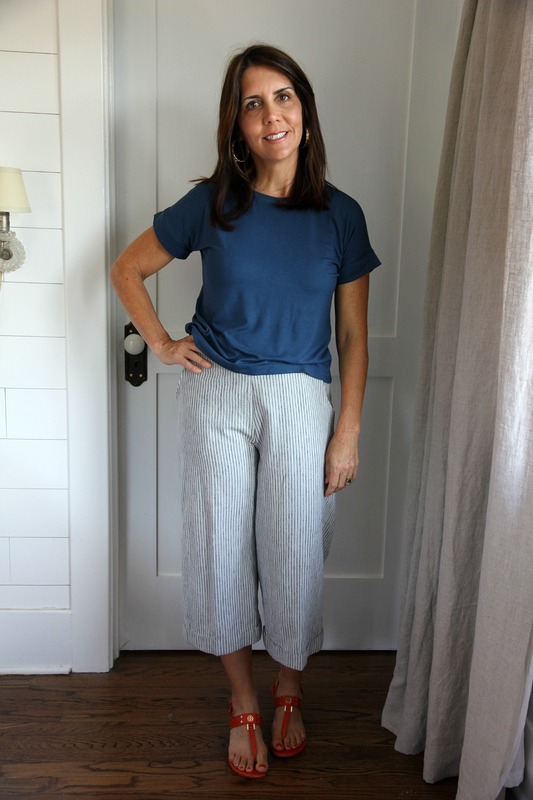 The Bento Tee is very easy and fast to sew! It’s child’s play! I have to tell you that it was so satisfying to get exactly what was in my mind, that I had to make another one!! I decided to sew a funky version this time. 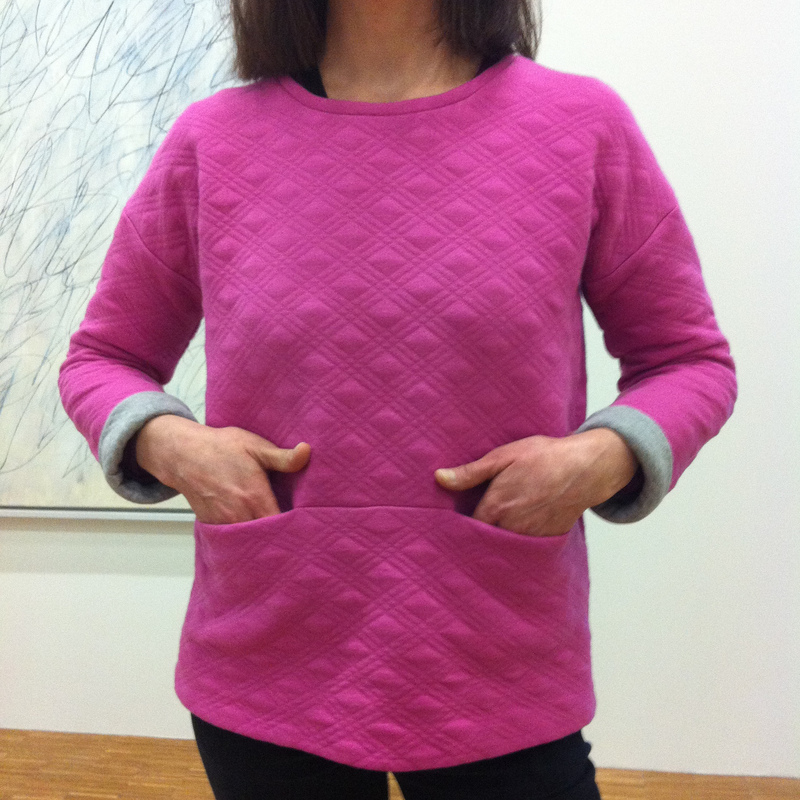 As I am a big sweatshirt fan, I went for a super soft quilted heavyweight cotton jersey (from The Sweet Mercerie, of course!) colourful and reversible!! Fushia on one side, grey on the other!! The result was just as nice as the first one! As I had some waste fabric left (that same quilted reversible cotton jersey), I made myself a third one. A short sleeve version for spring time! Since then I’ve made others!! I now have five Bento Tees!!! Yes, you can say it! I am a Bento Tee addict!! Now we have Justine who will share her three Bento Tees. Hi I’m Justine and I blog over at Sew Country Chick! 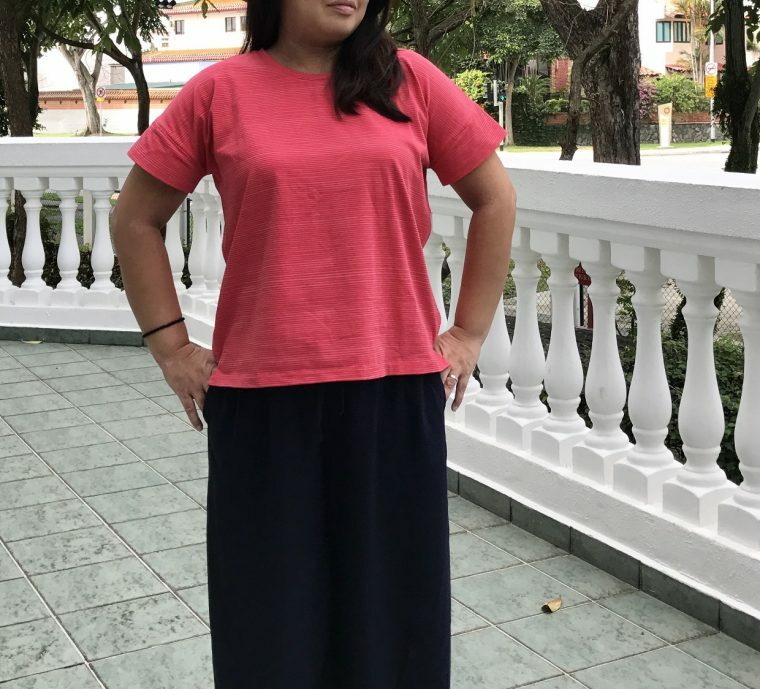 Lately, I’ve been making clothes with higher waistlines, and was looking for a pattern with a more cropped, slightly boxy look. When I found the Bento, I knew it would be a fun pattern to use for either winter or summer tops. 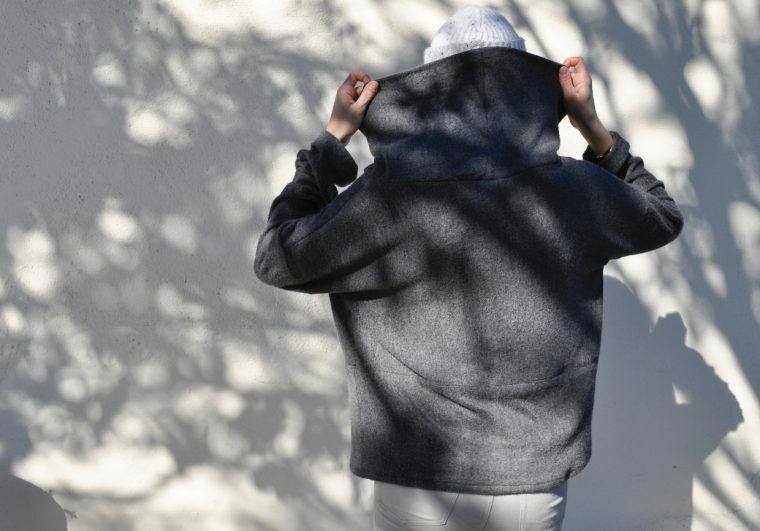 I live about an hour from the Los Angeles garment district, and would often buy a yard of a knit that would catch my eye here and there. Well, as you can guess, my stash multiplied quickly! The short sleeved Bento only uses a yard so it’s a perfect stash buster. 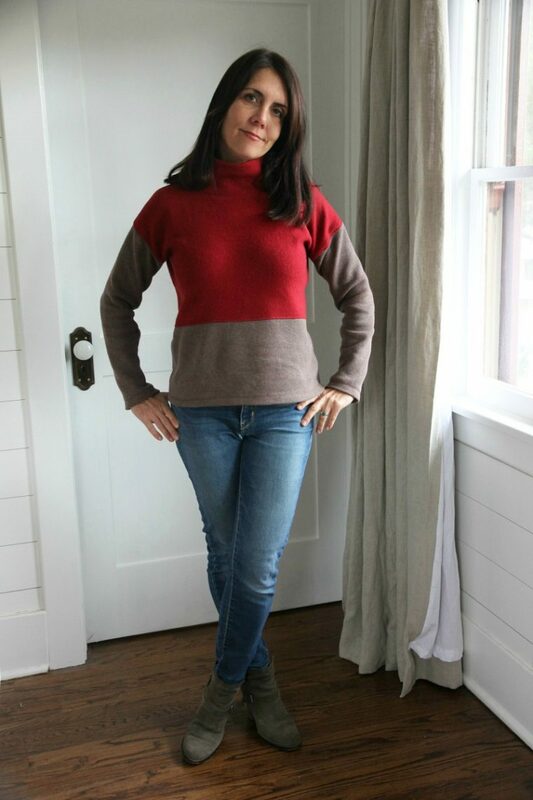 My first version of the Bento was a long sleeved sweater I made from some beautiful Italian wool knit I found online at The Confident Stitch. It’s double sided and the Bento pattern was perfect for using both sides of the wool to give a color blocked look. I omitted the pockets on this version, and extended the collar length to ten inches to give a funnel neck appearance. I’ve worn this sweater a lot and am looking forward to wearing it again next winter as it’s already too hot here in Southern California for sweaters. 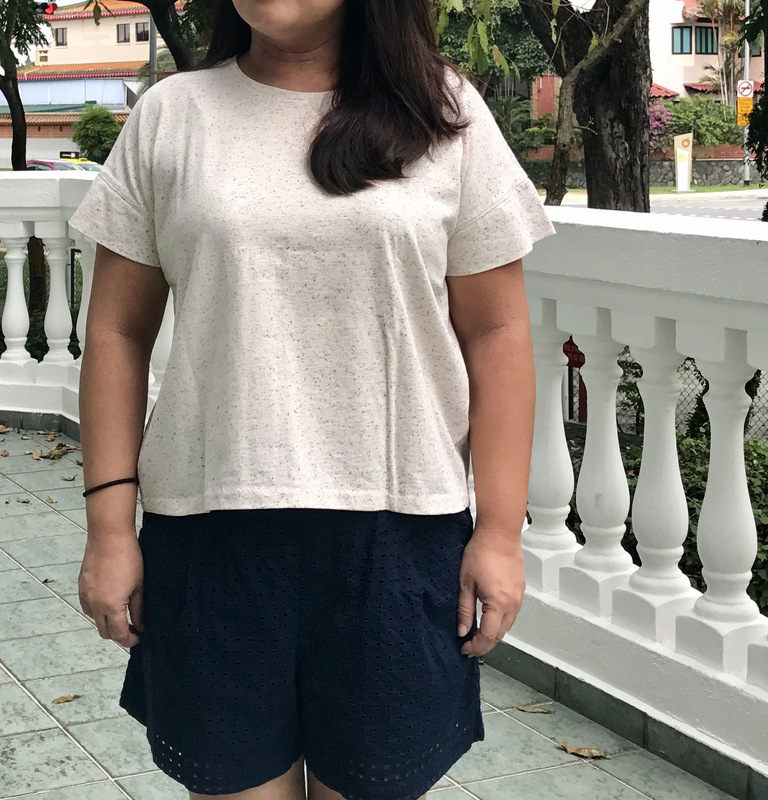 With spring coming, I needed shorter tops to wear with my vintage higher waisted 501’s and a pair of cropped linen pants made with Liesl’s Lisette B6183 cropped wide legs, which I love! 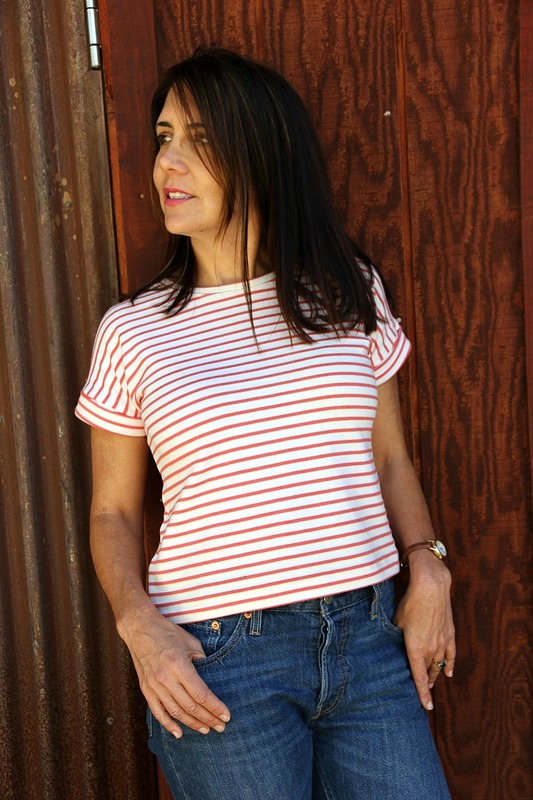 I had some orange and cream St. James knit in my stash which pairs really well with my jeans and I also happened to have some Rayon knit in my stash that matched the stripes on my cropped linen pants. Both tops are perfect with my bottoms and I like how different each one appears so different depending on the drape of the fabric. The striped one has a stiffer look and the blue one is much more fluid. The Bento is a super quick pattern to sew up, too! Happy sewing! Lastly, we have Fiona. By the way, be sure to check out her recent Lunch Box Tee that she sewed for her daughter. Hi everyone! I’m Fiona and I record my sewing adventures on Instagram, you can find me @fionamakes. I’m a mom of four and sewing is what I get to do just for myself! 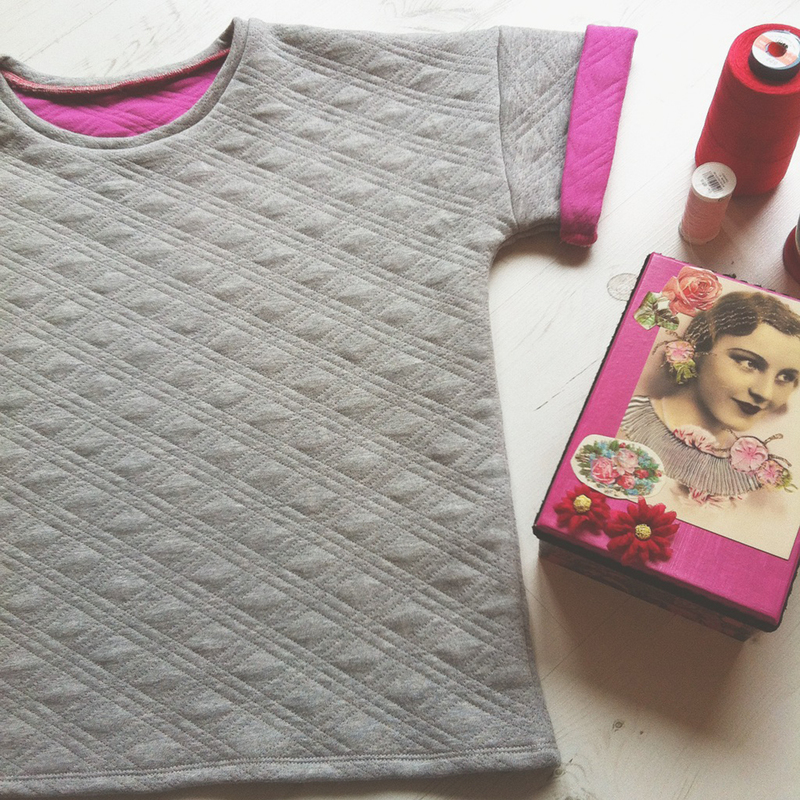 I’m sharing three different tops that I recently made from the Liesl + Co. Bento Tee pattern. My first Bento Tee was made up almost exactly as the pattern was written, with just one small modification. I narrowed the sleeve cuff by 2 cm across the pattern piece at the point where it is folded up. I used a Kaufman rainbow speckled jersey. I love that it’s a neutral but with such an interesting texture. Bento Tee number two was made in a Stof knit. This time, I lengthened both bodice pieces and used the recent tutorial on the Oliver + S blog to add a split hem. (Thanks, Liesl!) I lowered the neckline just slightly, by 0.5″ at the centre front, and sized up one size for the neckband piece to account for the slightly longer neckline. My third iteration is my favorite! I used the same size as my knit versions, but left off the neckband and sleeve cuffs. To ensure I could still pull it over my head, I widened the neckline by removing 1″ at the shoulder seam, tapering to 0.5″ at the center front. I used a navy woven cotton lace and a bright pink lawn as lining. Three versions of Bento Tee, same but different! It was lots of fun playing with this pattern! I have a few more details on construction on my Instagram page, if you’d like to know more. Great roundup!!! Great projects, everyone! I love those Lisette wide legged pants, too!